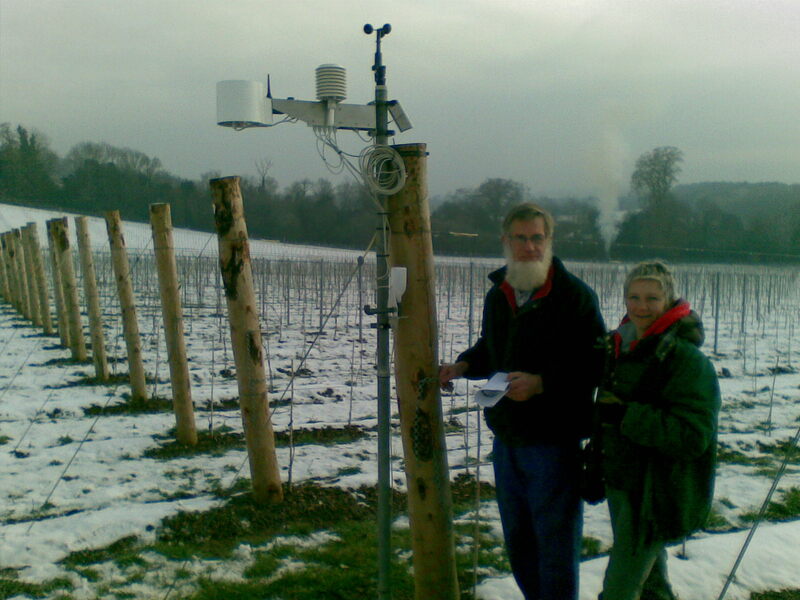 We are now proud owners of a weather station which was delivered and installed at the vineyard yesterday by Nick Seymour. The weather is of course a major factor in our ability to produce quality fruit. By building up weather patterns over a period of time it will help us to predict, and therefore manage, the risks of pests and disease. 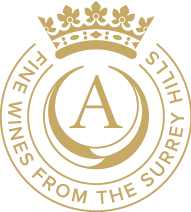 It will also allow us to understand how the timing of flowering, berry setting and ripening effects the quality of the grapes. The data that is collected includes temperature (ground and air), relative humidity, wind speed and solar radiation. It is updated on the web every 30 minutes so we can see from the comfort of our homes exactly what the weather is doing at any given time. The station can also send text messages to warn us of falling temperatures and the risk of frost. When this happens we'll have to get up in the middle of the night and put in place frost protection measures, which will probably include lighting bougies (oil lamps) and driving the tractor up and down the rows with a frostbuster which is like a giant warm air convection heater!